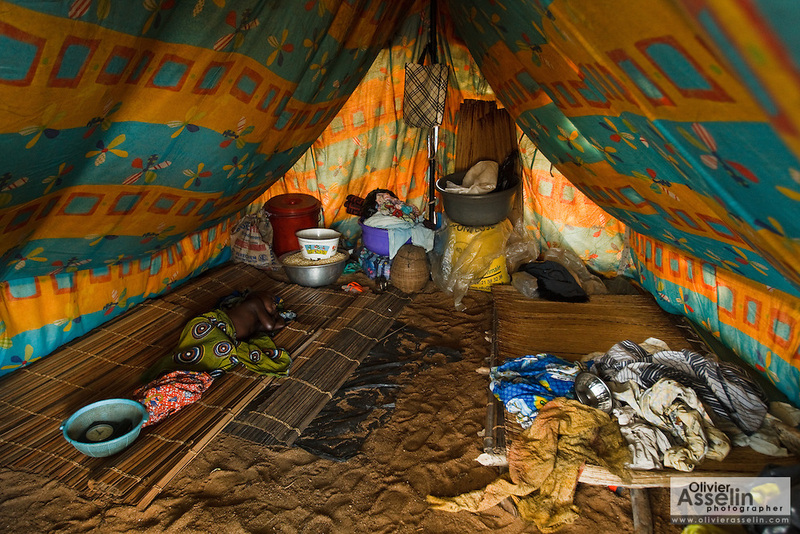 A young child sleeps in a tent set up in a spontaneous settlement near the village of Kpoto, Benin on Tuesday October 26, 2010. Almost all of the village's 1500 people have moved to a location near the local church, located about 500 meters away, where they now live in basic shelters. Some tents were donated by the Benin government, but they aren't waterproof and don't provide adequate shelter with the rainy season still going strong.